Surprise for the 16,000 beneficiaries of the New Life campaign. After receiving the necessary baby care products in the first months of life, Vlad Plahotniuc Edelweiss Foundation today launched a contest dedicated to mothers. The winner will be selected with a play area that Edelweiss will arrange in the child's room. The competition starts on September 15. Competition rules are simple. Put your imagination to the test and take a photo with your family, not to miss Edelweiss hashtag. Upload the picture on social networks, facebook or odnoklassniki, and tag the page of Vlad Plahotniuc Foundation Edelweiss - @VladPlahotniucFoundation. "All those who do this will be automatically enrolled in a competition, and for the winners, Edelweiss will arrange a play corner in the child's room. We expect all those who have benefited from our box to apply for the contest and to win, "said Edelweiss Foundation Executive Director Lidia Cucoş. According to the organizers of the contest, the play area will have the necessary conditions for a harmonious development of the children, it will be a place of their own, in which will be arranged a colored cottage, a slide and a table with two chairs, for interactive activities. The contest starts today and will run until September 15th. 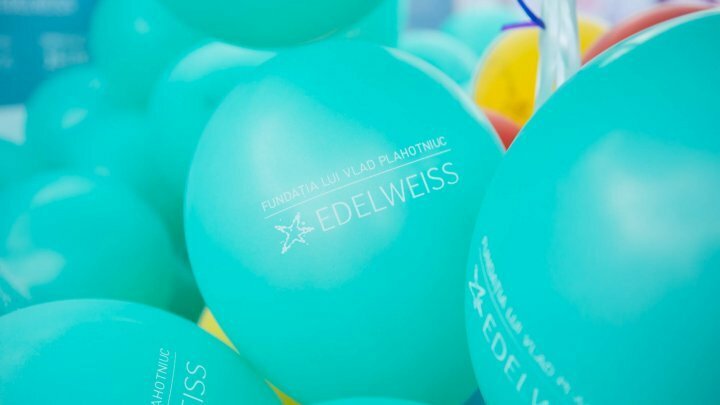 The campaign A New Life of Vlad Plahotniuc Foundation Edelweiss was launched in 2016 and has helped mothers with their newborns across the country since March.